The Central Information Commission on December 17 ordered that information relating to the death fo the former Chief Justice of India JS Verma be disclosed to RTI Activist Mr S C Agrawal. Mr Aggarwal had approached the Central Information Commission after the PIO, Directorate of Health Service replied to his RTI Application seeking information about death of the former Chief Justice of India JS Verma, by giving some information but claiming most of the information is not available with the Directorate. The RTI Application had earlier been transferred to PIO of many departments. Before the Central Information Commission, it was submitted that former CJI Justice M N Venkatachalaiah and 33 eminent citizens represented to the then Prime Minister Manmohan Singh for probing medical lapses that allegedly resulted in the death of former Chief Justice of India JS Verma. In addition, it was brought to the notice of the Commission that Mrs Pushpa Verma, wife of the former CJI JS Verma had also written a similar letter to the Prime Minister. Ordering disclosure of all the information, Commissioner M Sridhar Acharyulu directed the PIOs of Union Ministry of Health and Family Welfare to supply information free of cost, within 15 days from the date of receipt of the order. He also said, “Such letters from eminent citizens from all walks of life on death of a devoted and honest jurist who spent is post-retirement life in a rented house is indeed a matter of serious concern. While those having occupied high posts in legislative system get all types of government provided facilities including the government bungalows, secretarial assistance and health-care, there are no such post retirement facilities for even retired Chief Justice of the nation”. Mr. S C Agrawal had asked for information on many points in his RTI Application, out of which the following were not answered by the Public Information Officer. Complete information together with related correspondence/file notings/documents on action taken on each aspect of submissions dated 17.09.2013 ‘Demand for probe into medical lapses in death of former CJI JS Verma’ also e-mailed at PMO, by PMO and/or by public-authorities where such submission have been forwarded, etc. Name of hospital where former Chief Justice of India Mr. Justice JS Verma breathed his last mentioning also amount of hospital-bill and person/body having paid the said medical-bill of the concerned hospital. If yes, please provide details. Has the hospital referred in query above been provided any other facility or control either from Union government or from the concerned State Government? If yes, please provide details. Has the hospital referred in query above been altered land from Government at some subsidised/institutional either from Union Government or from the concerned State Government? The information regarding these points will now have to be disclosed as per the order of the Commission. Medical negligence behind Justice Verma’s death: Controversy erupts. Remembering Justice Verma: The Man That Was. 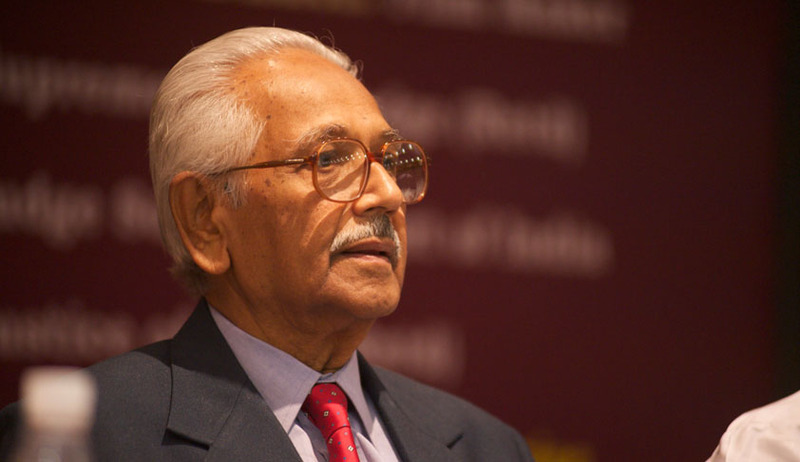 Late Justice J S Verma’s family declines Padma Bhushan award. Topics : Central Information Commission | Ex CJI JS Verma’s death | information Commissioner M Sridhar Acharyulu | Medical Council of India | RTI Activist Mr S C Agrawal.